There is an unconscious propriety in the way in which, in all European languages, the word person is commonly used to denote a human being. The real meaning of persona is a mask, such as actors were accustomed to wear on the ancient stage; and it is quite true that no one shows himself as he is, but wears his mask and plays his part. Indeed, the whole of our social arrangements may be likened to a perpetual comedy; and this is why a man who is worth anything finds society so insipid, while a blockhead is quite at home in it. There is something about masks. Real ones and virtual ones. Carnival, theater, hiding, lying, pretending... So many reasons to wear one. Don't we all wear one sometime? The good thing about them is that showing our real face to someone has even more meaning when masks are all around. 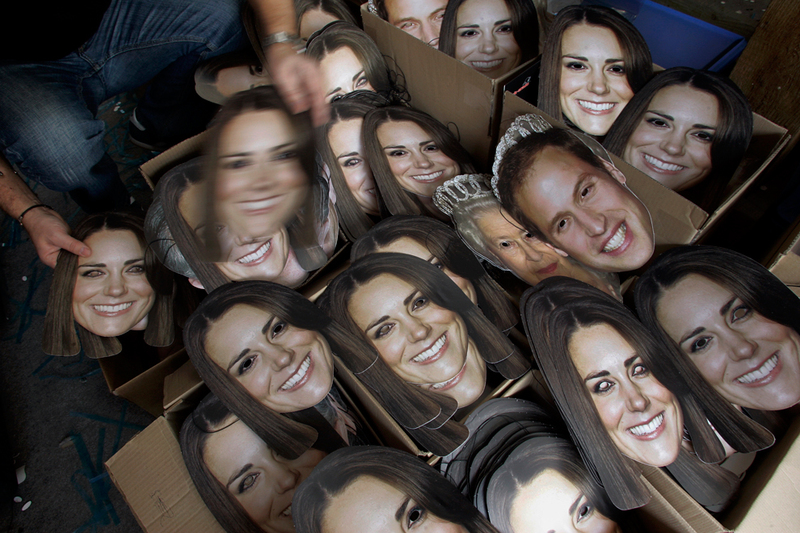 Now, about the Royal Wedding Masks... no comments. Isn't it great (i.e. terrifying) to know the Stepford Wives Technology Division is working overtime for us? Up until five in the morning, yet. "You can't exactly replicate it, but you can get pretty close". Too Much Rain for the Sharks? Stephen Crane: "A man saw a ball of gold..."
Stephen Crane: "In the desert..."
W. H. Hudson: Nightingale or Thrush?